Chelsea’s starting eleven to face Huddersfield Town at Stamford Bridge this afternoon has been announced – and you’re not going to be pleased. 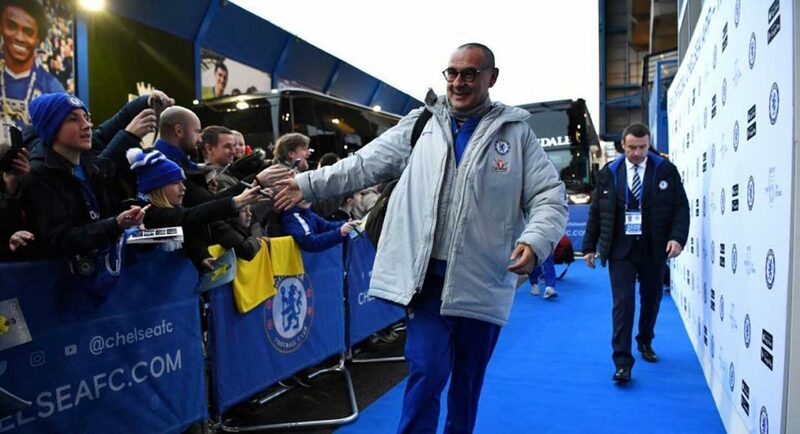 Sarri has made several changes to the side that as defeated by Bournemouth midweek. Ross Barkley is in for Mateo Kovacic, Marcos Alonso replaces Emerson, while Andreas Christensen comes in for the injured Antonio Rudiger, who’s on the bench. Chelsea fans were hoping to witness an injection of enthusiasm from Ruben Loftus-Cheek and Callum Hudson-Odoi this afternoon, but Sarri has stuck the pair of them on the bench. He is continuing to pick the same players who have proven themselves unsuitable. Gonzalo Higuain makes his first Premier League start at Stamford Bridge. Considering Huddersfield’s performances this season to date, this is a great opportunity for him to find the back of the net for the first time since signing for the club on loan. Here’s how both sides lineup in full for today’s game. What do you think, Blues? We reckon Sarri’s got this one wrong. Let us know your thoughts on Twitter @TalkChelsea, where you can also follow our coverage of today’s game. COME ON CHELSEA! Dont be dogmatic you can see some changes here some two or three players did not play the last match.